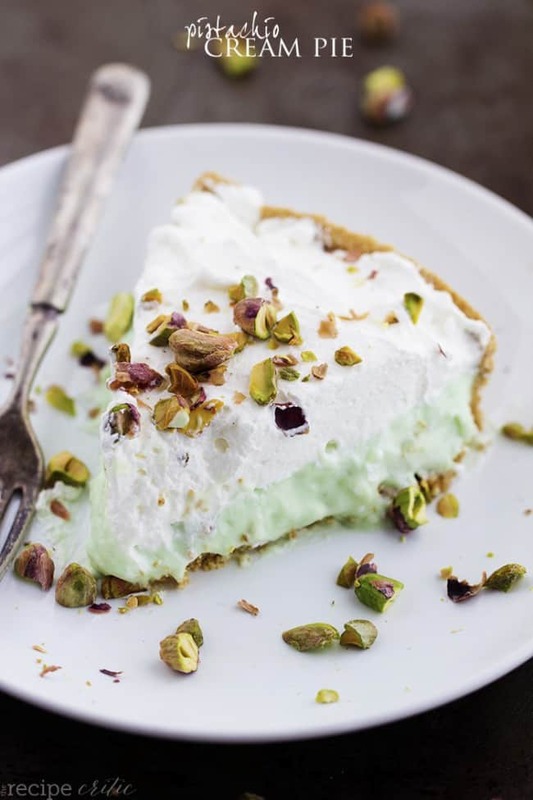 A creamy and delicious no bake pistachio pie with a graham cracker crust. It requires little effort and is sure to be the hit of the next gathering! We still have one more week of school left. This last stretch of school has been so hard. I am lucky to have my kids out the door dressed with a piece of toast in hand and on time to school. I can’t wait for school to be out! We have one more week left to go. We have so many fun plans this summer and I especially can’t wait for the barbecues. Sometimes the easiest and simplest desserts can be the best. This pistachio cream is just that and is amazing. I LOVE pistachios so I instantly fell in love with the dessert with the first bite! It requires little effort to make. 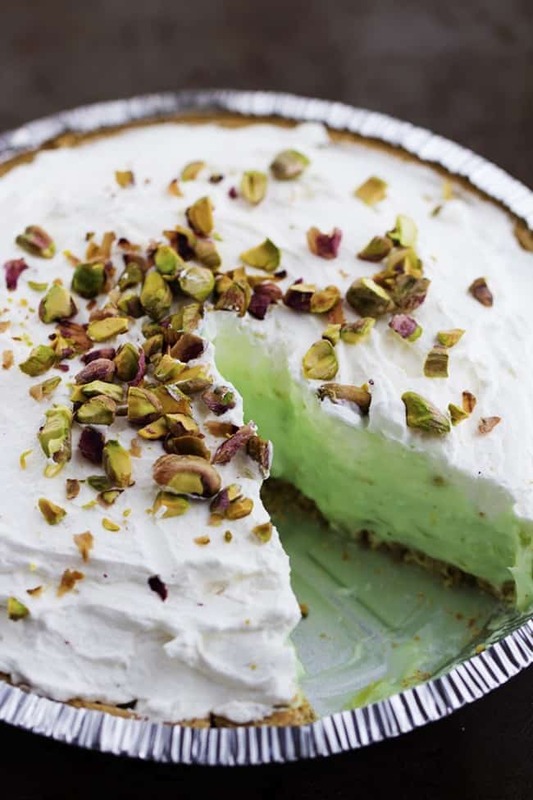 You use a pre-made crust and easily whip up the creamy pistachio center and top it with fresh whipping cream. Easy peasy and perfect for your next summer barbecue. This is a delicious crowd pleasing dessert! In a medium sized bowl, beat the cream cheese, milk and pistachio pudding mix until smooth. Fold in pineapple and spoon into the crust. Beat the heavy whipping cream and powdered sugar together until stiff peaks form. Spread on top of the pistachio layer. Garnish with chopped pistachios. Chill until ready to serve. Love your name my daughter is Alyssa Marie. Great recipes keep them coming. This is enough ingredients for TWO pies. Can you use applesauce instead of crushed pineapples? Or do without? IMPORTANT QUESTION NEED ANSWER ASAP.AM MAKING THIS TOMORROW FOR EASTER!!!! I’ve seen on a comment that this is enough for 2 pies. I only have 1 pie crust&ingredients for recipe listed above. Will it work for 1 pie? ALYSSA HELP ASAP!!! So sorry! Just seeing this!! Did it turn out ok?